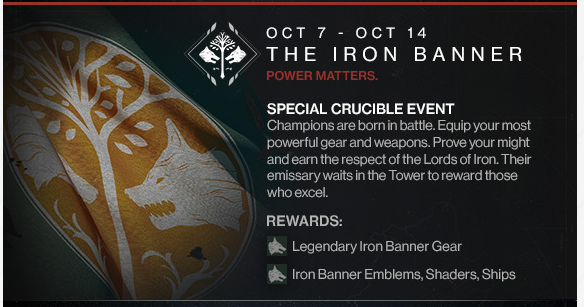 So the dates of the first Iron Banner event are now known. Oct 7th to the 14th. So starting 1 day after the now gutted Queen’s Wrath event ends and running for just 1 week. Iron Banner is a PvP event where level advantage is ENABLED. 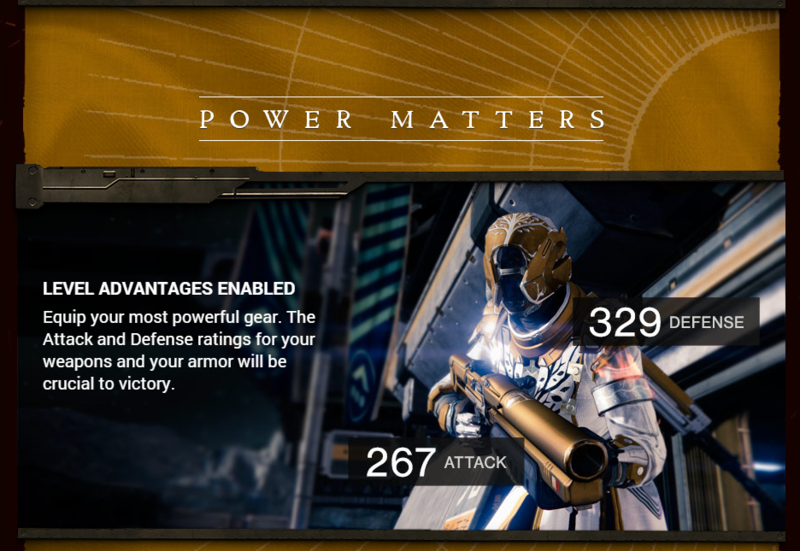 Meaning bring your best gear and Attack and Defense ratings matter. As with the Queen’s Wrath event the Iron Banner has it’s own set of bounties to do that add to your Iron Banner rep. Yeah! Yet another Faction to work on! So why is it when I play the Iron Banner a level 2 with Green weapons is two shooting me? Any why isn’t my Exotic one hit kill on him? This is so pathetic. Go into PvE against enemies 4 levels lower that you and you DESTROY them, go against 4 levels above and you get DESTROYED. What the F is going on here? Is this seriously how they planned the Iron Banner to be?